We stayed at the Palm Plaza Hotel at 526 Pedro Gil cor M. Adriatico St., Malate, Manila, its conveniently located within a stone throw from major businesses and tourist establishments and a mere 20-minute drive from the International and Domestic. The hotel is a modern building with 10 floors, rooms are large and in good condition with clean bathrooms. The hotel has a good restaurant. 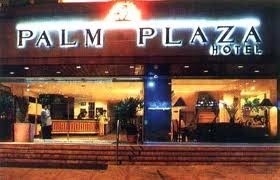 I liked the Palm Plazas service, security and convenience having stayed there a few times being right close to the heart of Manila bay, Robinsons mall and many attractions close by. I give it a 8/10 prices as a lot business I always book online through Agoda hotels as I can save 10-30% of normal walk in rates to any hotel. So if your looking for nice accomadatiin give Palm Plaza a try, always remember its much cheaper booking through Agoda hotels.